People of Bangladesh has Cherished some of amazing culture and tradition. Unlike other countries of other continents, Bangladeshi people have own culture and tradition. The Bangladeshi culture reflects the behavior of individuals, their dresses, occasions, languages, livelihood, dance, music, film, festivals, etc. This article will help you to generate the idea of Bangladesh Culture and provides the details of different traditions. The people of Bangladesh are greatly influenced by the faith. Three primary religions “Islam”, “Hinduism”, “Buddhism” are distinguished here. Each of the religion has its culture and festivals. Though religions are different, people of Bangladesh love to live with agreement each other. Every occasion is celebrated with the participation of each and every religious people. According to the Prothom Alo “Leading Bangla Newspaper ”, more than the majority of the people are Muslim, then Hindus. According to the religious believe the majority of the population of Bangladesh are Muslims (Followers of Islam). Different religious occasions are celebrated according to the rules of Islam. Friday is a weekend day of Bangladesh because Muslims have their special Weekend prayer “Jummah” to this day.Eid ul Fitr, Eid ul Adha, Milad un Nabi, Muharram are nationally celebrated. Public holiday is declared in those days. It is the most important day of Muslim. Like other countries of the world, Eid ul Fitr is celebrated with great joy. People do their shopping for the occasion of this day. Schools, Colleges, Universities even government nongovernment offices remain closed for this event. Government declares three days public holiday for this time. People used to visit their family members, neighbor. This is the second most important days for Bangladeshi as well as Muslims. The celebration of Eid ul Adha is almost same as Eid ul Fitr. But the major difference is sacrificing their domestic animals. Instead of buying new cloth, at this time people are usually busy with buying new pets e.g. cows, goats, etc. As like other Islamic Countries in the world, Bangladeshi people also celebrate another different Islamic event e.g. Milad un Nabi ( Birthdate of Prophet Hazrat Muhammad sm. ), Muharram, Chand Raat (The night before Eid), Shab-e-Baraat, Bishwa Ijtema (The Social Gathering of People to pray ), etc. This occasions and traditions are a sign of the unity of individuals. Hindus are the second largest community of Bangladesh. Government people of Bangladesh, as well as general people, do respects equally other religion and religious people of Bangladesh. Like Islamic festival, Bangladeshi Hindus also get the public holiday on their significant occasions. Durga Puja is the largest Hindu festival of Bangladesh as well as South Asia. The worship of Hindu Goddess Durga is celebrated ten days long. Not only Hindu people join on this occasion, but people of all religion participated on this occasion. They help each other for the opportunity. Hindu Rituals like Swarsati Puja, Jagodatri Puja, Lokkhi Puja, Janmashtami, (Birth Date of Lord Krishna ), etc. are observed among the Hindu community. Bengali Culture is mostly developed from Hindus. So, different festivals are celebrated nationally. I have mentioned earlier people of Bangladesh maintain harmony among the different religious people. Though most of the people of Bangladesh are Muslims, second largest community is the Hindu, but people of other religion get equal respects and rights while celebrating their different religious occasion. 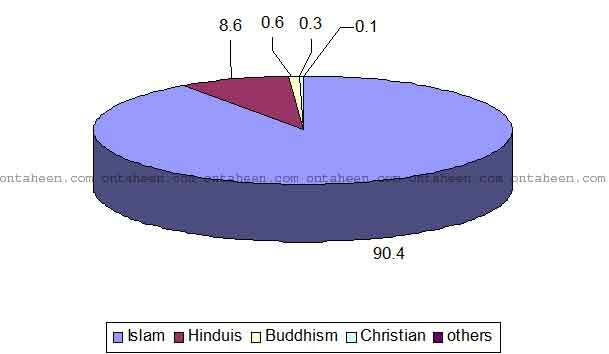 Buddhist and Christians are minor in Bangladesh. But Buddha Purnima, A major festival of Buddhist, Christmas day is nationally observed. In those days, Bangladesh has public holidays. Bangladesh has a golden history. We have 21st February (International Mother Language day), 26th March (Independence day), 16th December (Victory day), Pahela Baishakh (First day of Bengali New year). 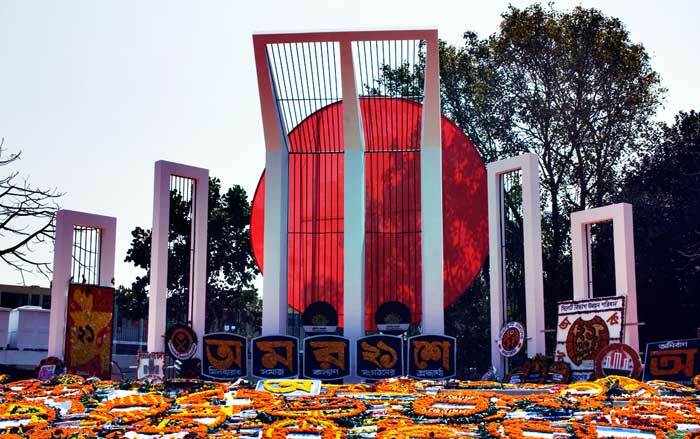 Bangladesh is the only nation in the world who sacrifices blood for the sake of Mother’s tongue. It was 21st February in 1952; Bangladeshi people start the movement against the government of Pakistan for the Bengali Language. In that action, Salem, Rafique, Barkat, Shafiul and many others sacrifice their lives. At last Pakistan government is forced to declare Bengali, as a state language of Bangladesh. 25th March 1971, the invader Pakistani army killed more than two hundred thousands of people in one night. In this genocide, general people, women, and children are killed brutally. After that liberation war of Bangladesh started. It was the eve of Liberation war. We mourn for that day. This is the national holiday. After nine month war, sacrificing 3 millions of lives and massive destruction of the Pakistani Army, Bangladesh won the victory. This is the victory day. Under the leading of Father of the nation Banga Bondu Sheikh Mujibur Rahman, Bangladeshi people have got the victory. A new country on the world map appeared. Yes, this was Bangladesh. It was the 16th of December 1971. Bangladesh, Celebrate this day with joy and festive mood. The first day of Bengali New Year, it is 14th April of the year. Bangladeshi people celebrate this day with great joy. The colorful rally was carrying festoon; placards are held to this day. Different Socio-Cultural organizations arrange the different cultural program, every family and person are in festive mood. Bangladeshi culture and traditions solely reflect in this day. It is the First day of spring. People of Bangladesh welcome the Pahela Falgun throughout the different festivals. Women and men wear “Bashonti Saree” and “Panjabi” respectively. The unique gift for the beloved, friends, cultural program is held to this day. Bangladeshi people have a strong tradition of food. Rice is the staple food here. It’s available across the country. They usually take rice three times a day with delicious dishes and curry. Bengali has a name “Mache Vat e Bengali” indicates their favorite foods are rice and fish. Bangladeshi cuisines are influenced by different nations. Hindus, Buddhist and latterly Muslims rule the Bangla. In the course of time of Bangladeshis are affected by their food habit. But maybe they are greatly influenced at the time of Mughal reign. Bangladeshi Cuisine is almost the same across the country. But the use of spice and food habit are different. The western and eastern part of Bangladeshi people loves hilsha fish head, data, char chari, such-payesh, hilsha with mustard, etc. But the southern part of Bangladesh they are love sea fishes and Mejbani Manghsho. Cauliflower, Cabbage, Tomato, Potato, Beans, reddish, Peas, Carrot, Radish, Pumpkin, Eggplant, Drumstick, Bitter-ground, Arum , Bindweed and many others vegetables are standard here, though food recipes differ from one place to another. The family is the basic structure of the relationship in Bangladesh. In the rural area of Bangladesh, people are usually living in an extended family, where Grandfather, grandmother, parents, and children live together. But at present extended families are breaking down into the nuclear family. Family life in Bangladesh is absorbing for anyone who comes from abroad. Usually, the father maintains outside work and mother retain the household work. Though some peculiarities are seen some tribal of Bangladesh, e.g., Chakma, Marma, Shawtal, etc. National dresses for Bangladeshi men are Lungi and Panjabi and for Women are saree. Now a day’s changes are seen. People usually love to wear western dresses and women of Bangladesh are seen to wear Salwar kameez and Some of Youngs are seen to wear jeans T-shirts, tops, etc. National dresses are the traditional clothing of the Bangladeshi lifestyle. From the neutral point of view, Bangladeshi women are now influenced by India. Tribal of Bangladesh has a unique style and traditional dress. Muslims of Bangladesh wear Panjabi and Pajama; on the other hand, Hindus wear Dhuti. Different types of arts are crafts seen in Bangladesh. Weaving, pottery, and terracotta, etc. are traditional in Bangladesh. Women of Bangladesh makes Nakshi Katha. Arts in Rickshaw is also popular in Bangladesh. Folk Theater, Jatra, etc. are common in the rural side of Bangladesh. Hi, I really enjoyed your article! I am Bangladeshi and so proud to be a Bangladeshi! It’s culture and tradition are totally different. By the way, Saree is my favorite! Thanks for sharing this amazing article and waiting for more from you. 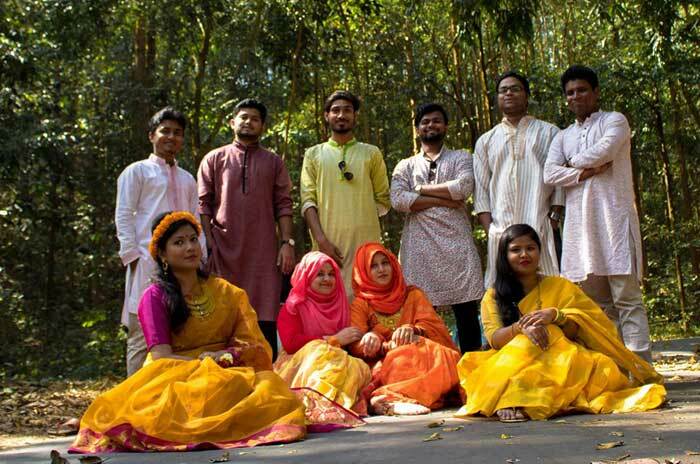 What is most enlighting fact of Bangladeshi culture is; people from any religion get mixed up and participate in different religious events like Puja and Eid. Hates off to the people of BD.